Phone systems have greatly advanced over the recent decades. Major innovations in telecommunications have made it possible to communicate in almost unimaginable ways from just 20 years ago. How Did the Traditional Multi Line Phone Systems Work? How Do Multi Line Phone Systems Work Today? Why Should Your Business Use a Multi-Line Phone System? Which Multi-Line Phone System Should I Get for My Business? As its name suggests, it is a system that takes a single phone line that is coming into your premises and divides it into some lines thus enabling more than one phone to be connected to the same line in your business. These phone systems were usually operated with the help of a switchboard. The physical switchboard was able to direct callers to the phone line they wished to be connected to. The traditional phone system also worked by placing some sockets at different points in an office. 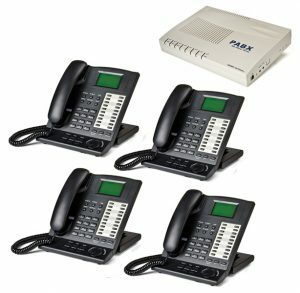 The modern-day multi-line telephone systems work through various technologies that are internet-based. This has made these phone systems more flexible and improved the call quality significantly. This is a significant advantage for businesses looking to have the edge over their competition. Keep reading to find out how to choose the best multi-line phone systems for your business. Firstly, your phone system requirements rely squarely on the size of your business. The following are reasons why you should invest in a multi-line phone system for your business. Cost. Most multi-line phone systems operate using the internet which is a lot cheaper compared to standard telephone lines. As the system is cloud-based, you don’t have to spend so much on hardware or line rentals. This saves on your overall costs. Customer service. With the help of multi-line phone systems, your employees will be able to respond to customer requests very fast with little to no delay. Customers are highly appreciative of this swift and prompt service. Professionalism. You will have a dedicated number with which your clients can reach your business. Convenient. Your employees will be able to make external phone calls using the handsets in the office or at their desk. Easy access. Your employees will be easily reachable on their phone extensions that come with direct dial phone numbers. Increased productivity. 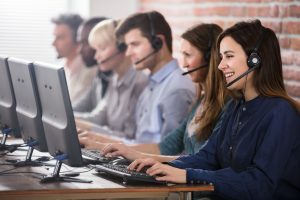 These phone systems are quickly routed growing satisfaction of your customers, as well as, free up your employee time allowing them to focus on other jobs thus increasing productivity. Let us assist you in getting the ideal multi-line phone system for your business. 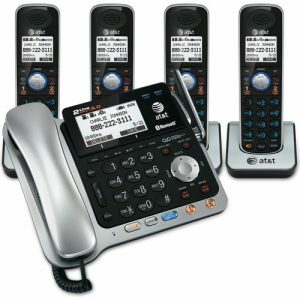 There is a wide variety of multi-line phone systems supplied by top manufacturers. In this section, we take a look at some phone systems that will make a good fit for your business. BT is a trendsetter in the telecommunication industry the world over. This exceptional phone system has some impressive additions that will revamp the way you do business. They are a telecommunication company that gives you value for your money. They are a world-class renown telecom company that prides itself on providing innovative telecommunication solutions. 16 extensions and four phone lines. Panasonic is a highly reputable company. The hybrid system matches quality and functionality. It is a flexible system with the expansion options of 8 extensions and three lines, and 24 extensions and eight lines. It includes direct dialling to caller identity, extensions, and automatic greetings. Exact price depends on a specific supplier. A refurbished version will cost less. They are a well-established telephony company in the industry. 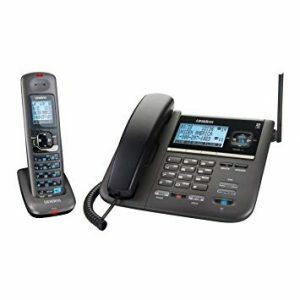 The Orchid PBX 308+ is a mark of quality and performance. Direct dialling to conference calling, extensions, and call forwarding. They provide state-of-the-art equipment and this multi-line phone system is no exception. Feel free to use our comparison services for quotes tailored to meet the needs of your business. 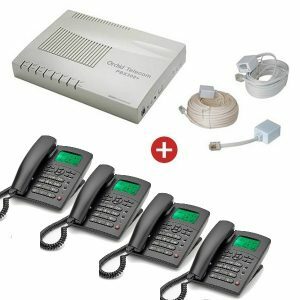 Below are the kinds of multi-line phone systems. 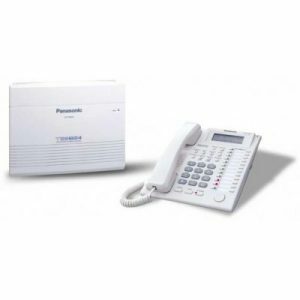 This is an entry-level telephone system and is mainly used by businesses that have few phone users in one location. The Key telephone system offers any incoming caller one phone number. However, direct dialling to various extensions is not possible with this system. PBX stands for Private Branch Exchange systems. It is ideal for businesses with different locations and many employees. The individual handsets in a PBX phone system come with extension numbers. Callers can direct dial the extension numbers. 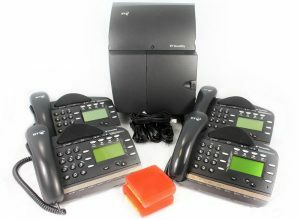 This system uses existing PSTN and PBX telephones and infrastructure. It is possible to make long-distance calls on this system using the internet which is a much cheaper option. Modern hybrid systems can support VoIP. Looking for a multi-line phone system for your business can be hectic not to mention confusing considering all the different types of phone systems with various features. Choosing the right telephone system requires careful consideration and plenty of time. The good news is, we are here to help. Allow Expert Market to find you the best possible phone system specially tailored to meet the needs of your business. We will combine your budget, specifications, and our vast experience to give you the multi-phone system you need.